Hi all, I thought it’d be good to do a final blog update before the Christmas Holidays kick into effect! In the last update I was preparing for the release of Stellaris’ Megacorp Expansion. For that, I prepared a guide video for the free update and made an overview of the features for the DLC to help people know what they were getting into. 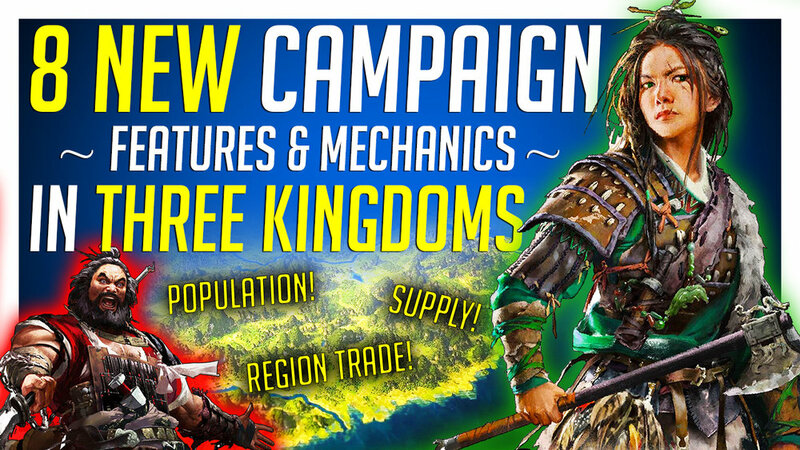 On the Total War front, I just released a new video detailing the latest info on Three Kingdoms, though I am a bit late to the party on that one, it’s definitely a comprehensive look at everything so far, so you might find a few things you don’t know about even if you’re an avid follower of 3K information. The DEI streams with Jackie have come to an end for now, and will resume sometime in early January, we’re 10 streams into the campaign, and I’ve recapped streams 1-4 in videos. I get asked a lot when the next one is coming, unfortunately it’s just a bit lower priority for me, (based on views/channel growth mostly) but I will be continuing them in the new year. As the stream is pulling ahead compared to the recaps, I’ll make two more recaps on streams 5-7 and 8-10 to make it more manageable. The videos and streams have been going great across the board. All the numbers are up pretty much, and the support from individuals has been crazy as well. We hosted our monthly Stellaris game recently and I’ve already started preparations for the next one. I’ll keep it a bit of a surprise but I think it’s going to be really good, and will have a unique spin on it. For those who don’t know I’m going away from the 19th to the 26th back to Ireland to see my family for Christmas, so there might be a gap in videos a bit, and then I’ll be coming back to the UK to continue work on ROP. 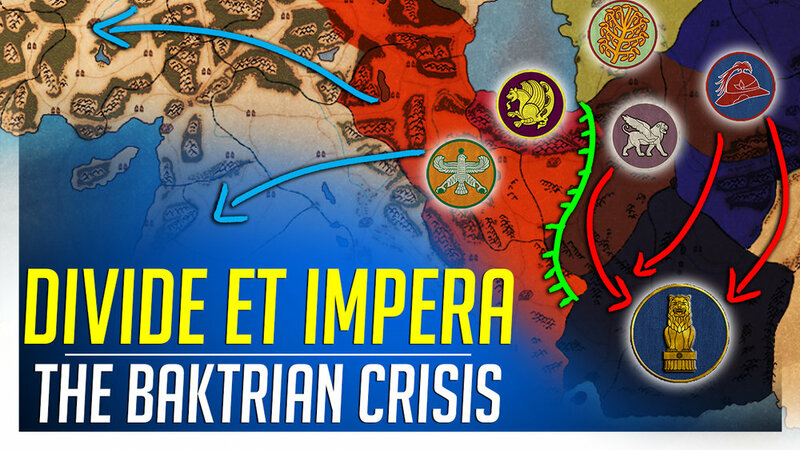 I’m hoping to get another Imperator ROME video lined up as a bunch of info came out about it since they held an event for press/youtubers. And that’s pretty much it, I just want to say thanks for watching in 2018. The last few months have been huge motivation, and things are really looking up. The community for ROP is growing around the games we love (or love to hate in some cases) and I’m really happy to see people organising their own MP events and playing different games together in our discord. Thanks again for all the support, hope you have a nice Holiday break! As always if you have any feedback, or things you want to see, please leave me a message! Hi all, it’s been a while since I did an update, but better late than never! I had intended to do one every week, but I think from now on I’ll stick with one every two weeks and just call them updates as opposed to weekly updates. Anyways, the last month has been extremely busy for me, and we’ve hit a bunch of milestones across the board. On Twitch, we recently passed 8,000 followers and are still pushing a ridiculous amount of subs thanks to mass sub-gifting from a few of our biggest supporters. As well as that, on YouTube since our last update we’ve passed 45,000 and are now sitting around 46,500 subscribers. The channel growth is extremely encouraging, and the focus on the three pillar games seems to really help give the channel an identity, allowing us to form a stronger community around the games we enjoy. And speaking of community, we’ve also passed 1,000 members on our Discord group which is really huge. There’s now sections for finding multiplayer games with others, joining regular Stellaris matches, sharing screenshots and the usual game topics and general chat. On the YouTube side of things I recently released a review for the Vampire Coast DLC for Total War: WARHAMMER and gave some impressions and thoughts about Battlefield V – Myself and JackieFish also kicked off a brand new Head to Head campaign on Divide Et Impera on twitch, which we stream every Tuesday/Thursday at 2PM GMT and these are now also going to be recapped in videos on the channel ever week, putting that map I worked on to good use! With the announcement of Stellaris MegaCorp and it’s release imminent in early December, I’ll be focusing a lot on Stellaris again hopefully doing Guides for the new systems and recaps from the development diaries. Might try squeeze in a quick DLC review there too if I can. That’s really it for the update here, I want to keep them a bit shorter where I can- stay tuned for the first of December where I’ll be outlining the months Twitch schedule and I’ll hopefully be doing some game giveaways in the run up to Christmas. There’s also even a few new games to try out, like Mutant Year Zero which looks pretty cool! Thanks as always for the support, it’s been hugely motivating and I’m hoping people are enjoying the content/community of Republic Of Play. So last update I talked about how I was refocusing the channel a bit on three “Pillar” games: Total War, Stellaris and Imperator: ROME. I kicked off this focus with a Divide Et Impera video, followed by a Stellaris video. We talked about these in our last Weekly Update, but they have both continued to go on to perform extremely well, each garnering well over 100,000 views. Crazy! I gave both videos extra attention, which took nearly a full week to make (outside of the streams), but it seems to have paid off. The next video queued up was an Imperator: ROME developer diary recap, which also has performed great for me, and is actually a great way for me to keep up with the game as more information gets revealed about it. The same day I released that video, (which took the better part of a week to make) Total War: Rome 2 started getting review bombed on steam. I gathered what intel I could and made a video about it because I saw some misinformation surrounding it, and my discord recommended that I should post about it after I showed some of my findings to them. 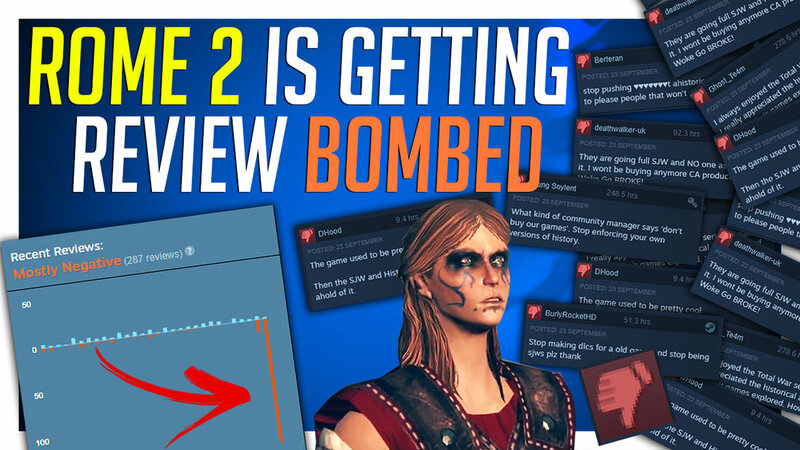 This video ended up being linked all over games media that talked about the review bombing and as a result has shot up to 250,000 views as of writing. Not bad for a video made in about 2 hours! While the views are huge, it’s actually a short video, with not many adverts, and the subject matter doesn’t really bring in much growth so it’s not as huge as it looks, the Divide Et Impera video both earned more and increased growth substantially more, even with half the views for instance. Regardless, I’m definitely not complaining! Next, I focused on Total War again, this time on Total War: THREE KINGDOMS. The game got its release date and pre-order information, so I felt now was a good time to start recapping it, similar to the Imperator: ROME developer diary series. Again this has worked out great, garnering around 50,000 views so far and doing good numbers for growth. And growth has been good, amazing in fact. 2 weeks ago I posted that we hit 41,000 subscribers and today we’ve hit 44,000 as of writing. I’m always a little cynical and sceptical, so I’m gonna say that this will slow down and not continue at that crazy pace, but even so it’s been a huge morale boost and the views will be a great financial reprieve when it comes through in a couple months. As well as that, Twitch has been extremely strong for me as well throughout September. 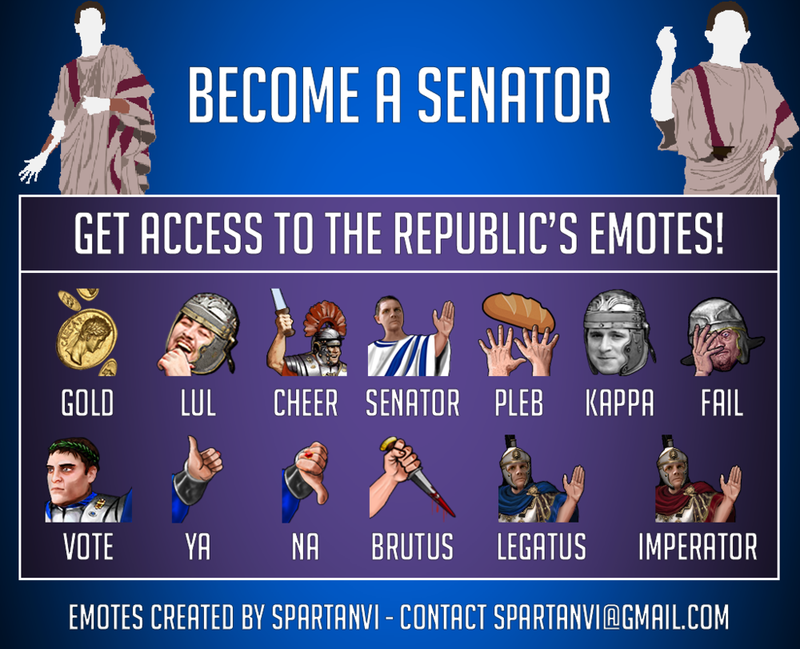 As posted in our Senate Meeting two days ago, the average viewers were up, the subs were up and there was a good variety of games and some re occurrences like Divide Et Impera with Jackie. That series has ended now, and we’ve got BIG plans for the next one, in a couple of weeks. I’ve been working on artwork and music to accompany a weekly episodic series on YouTube that will recap the campaigns on Twitch, so I can’t wait to create cinematic Total War content again as I’ve always loved doing that. So that’s how things have been going lately. This was also my first month in my new office room since Mitch, my housemate, moved out. While it has come at a big rent increase not having him here, the channel and regularity of content has improved and is getting better so it’s been really good so far. I just need to hopefully maintain that! Before I go, I wanted to get any opinions or feedback about my recent videos and the direction I’ve been going lately. I’m not covering as many other games on my channel, instead rotating “The Big Three” weekly, and I’ll doing one-off videos here and there on other games every 4th week it seems. (My next video isn’t a “Pillar” game). I hope this is of interest to my backers on Patreon and anywhere else. Of course I’ve been playing new games on Twitch a lot more regularly, but I know that’s not for everyone. So any opinions are welcome, in comments, or on Discord, Private Message or email. Hey everyone! This update will cover the last couple of weeks in the Republic, and some plans I have going forward for the rest of the month and beyond. First off, I want to address something I haven’t talked too much about, but have briefly mentioned in my monthly Senate Meetings in Discord. Around the time we hit the one year anniversary for Republic Of Play, I completely ran out of savings. That would’ve been the month I closed it all down, was it not for a close family member stepping in and offering to help me continue for a while. While this has given me extended time, the challenge ahead became even greater, as a housemate of mine moved out, effectively increasing my rent. With increased costs and a firm deadline to reach sustainability in place, I needed to refocus and think hard about how I could grow the channel, while still making it something I wanted to pursue as a career. The first step was moving into the room my housemate previously occupied. My setup is now fully in place there for the passed two weeks, and as a result I’m able to dedicate much more time to both videos and streaming. I can no longer be interrupted, and I can record my voice and generally make noise at any time of the day without affecting anyone else. The next step for the refocus is to establish “Pillar” games. These are the games that re-occur regularly on the channel and support the channel over time. The first “Pillar” games are “Total War” (the Franchise as a whole), “Stellaris” and “Imperator: ROME” To a certain degree, these were already there, but now they will be placed front and centre on the channel in the form of playlists and discord, and I’ll be going back to them much more regularly with game updates, trailer analysis and update/diary breakdowns. I’ve been pivoting towards this for the last few weeks, to see how it would do, taking longer amounts of time to make each video, and so far it’s been going very well. The pillar games have been performing about 91% better on average for views when considering the last two months of videos dealing with either a pillar game or a different game. So as a result, I’ll be doing more of what works, and less of what doesn’t. What does this mean for exploring new / recently released games? They’ll be more of a focus on my Twitch channel, and the biggest releases will still get reviews. Typically, all the games on my “Top Anticipated Strategy Games” lists will get reviews, but smaller titles, will just be for Twitch, and maybe a gameplay video if I find an interesting spin on it. So that’s it for the update part of this Blog about what’s changing (and essentially already has changed) going forward. Please let me know what you think about it in comments / discord. As for a weekly recap, as mentioned I spent a long time on two individual videos, about a week each in fact. 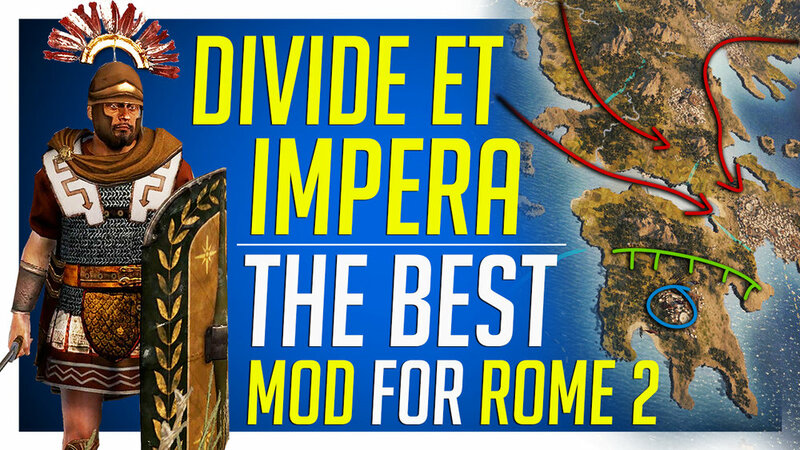 The first was a video for Divide Et Impera recapping all the major features of the mod. This video performed extremely well, thanks in large part to the mod team posting it, and a few other YouTubers posting it around on social media, and a decent reddit presence. People seemed to really like it. The second video then focused on the Major Overhaul coming to Stellaris in the near future. This was a complicated topic, and took a very long time for me to work out and break down, then I also experimented with new After Effects techniques I learned to create a nice scene to explore. This video has also done very well, very early on and is in large part a thanks to the Stellaris reddit community for embracing it. On the twitch front, the war with JackieFish continues constantly in what is basically the most enjoyable campaign of all time. As well as that, I jumped into Steel Division a bit since the second game just got announced and really really enjoyed it. Also, for my birthday, I played a little bit of the Last of Us, and for fun, we might just do that every Sunday until that game is done. This took a little bit of setup to get a PS4 working with my stream, but I’m happy with the results. The channel growth, both on Twitch and YouTube have been incredible. Thanks to a few Twitch Senators of ours, they’ve been going on subscriber gifting spree’s practically doubling our Twitch Subscriber count to over 200 now! Of course, during September on Twitch, you can continue a gifted sub for just $1 which is encouraging a lot of gifting and continuations which I’m extremely grateful for. As well as that, SPARTANVI has made new icons for us which look excellent and people have had a lot of fun using them so far! On YouTube, we broke 40,000 subscribers and just passed 41,000 as of writing. But I don’t want to get ahead of myself. These numbers are great, and hopefully they continue to rise over the next few months, with the plans in place to double down on our core pillar games and hit a few key games along the way too. Either way, let me know what you think of the changes, the content in general, as your feedback has helped shape the channel in it’s current state today, and it’s stronger than ever. Hi all, hope everyone is doing good. I delayed this update slightly so I could report on our Monthly Senate Meeting that takes place on the 3rd of every month. First though, I’ll recap our YouTube and Twitch content of the last week. 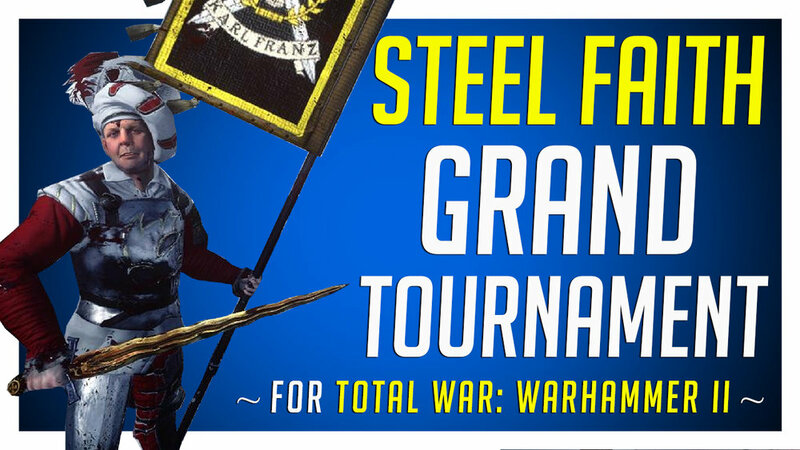 Last week I created two videos, one promoting the Steel Faith Overhaul Tournament, which was a sponsored video. This then spurred a conversation about sponsorships, when I would take them in future, what would be crossing a line, and everything surrounding that general idea. The reason for taking a sponsorship was simple; I’d already reviewed the product, it’s a free product and times are extremely tough for me financially. In future, I would be happy doing a video on any product I had reviewed already, which I thought was good. I get offered to cover mobile games, and free to play PC titles all the time, and even though I’m straight up broke, I don’t take them because it would hurt the integrity of the channel, and it’s just not how I want to operate. The next video I created was a gameplay video for Two Point Hospital. I received this game one day before release, so I wanted to try get something out for the release day. This was a longer, 30 minute gameplay video explaining everything. This hasn’t been received as well as I’d hoped, so those types of videos probably won’t happen anymore. I’ll stick to my style of shorter, more scripted concise videos on games for now, even if it means I can’t get it out on the release day. On Twitch, everything was business as usual, we played some more Divide Et Impera Head To Head, where I actually declared war on JackieFish, so things are really kicking off over there. We fooled around in Two Point Hospital, and also in Rimworld which was a blast. Took a while to learn the game a bit, but now understanding it’s systems, I want to make more time for it. We had a “wild naked woman” wander into our area, so naturally I shot her. She retaliated, knocked out the person with the gun and proceeded to go berserk and bleed everywhere fighting animals. A jaguar took her down, and we rushed her to a medical bed, only for her to die seconds after she was laid down. I’ll never forget that crazy frantic 10 minutes. And that’s pretty much it for the content of the week, I’ve got a bunch of stuff queued up for this week, and a lot of streams so things are gonna get busy. So let’s jump back to the Senate Meeting. This one was special as it was not only the August review, but the year review too. · August was profitable! 3 out of 12 months of ROP have actually turned a profit so far. · My housemate has moved out, and I’ve moved into his room as a sort of office now, so rent will be more expensive for me, but hopefully I can work better/faster with content in this room. · We’re at an all time high for twitch subscribers at 130. And Senators overall at around 180. A lot of them have been gifted subs, but it’s still a huge number without the gifts. · The YouTube channel is starting to get a little bit of momentum, which is very real on YouTube. When we get subscriber spikes, they’re bigger and last longer, and we’re well on our way to hitting 40,000 this month potentially. · 79% of all income for Republic Of Play was earned through direct donations on Patreon, Twitch and Twitch subs, ie. People paying for the content or to support the channel. That’s it for the update, I’m really excited for the next few videos I’ve got coming this week, I’m trying to put a lot of effort into them so they’re taking a bit longer than I’d like, but it should be good. 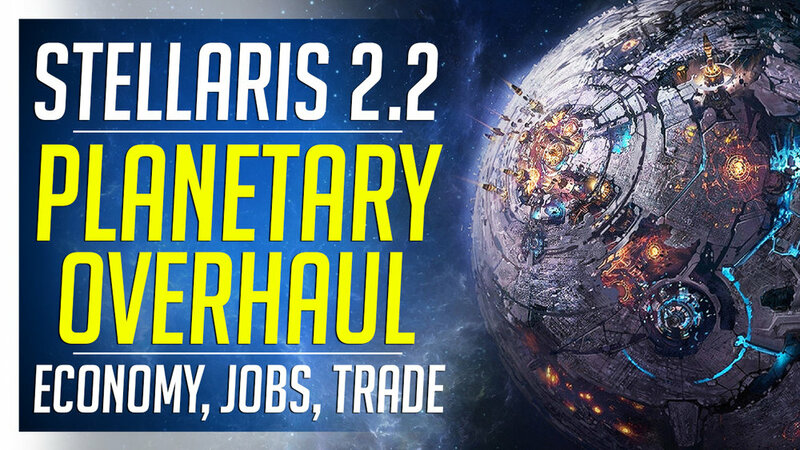 Lately we had a lot of interest in our Stellaris MP games and the 90min video I released recapping our last one, has now garnered over 25,000 views in just 1 week, so you can expect more Stellaris content to capitalise on that. As always, please leave me any feedback or ideas you have of things you’d like to see! Thank you for the continued support on Patreon, it’s huge, and it’s extremely humbling. Hi everyone, hope August has been treating you well! Time for the weekly recap of all things Republic Of Play! 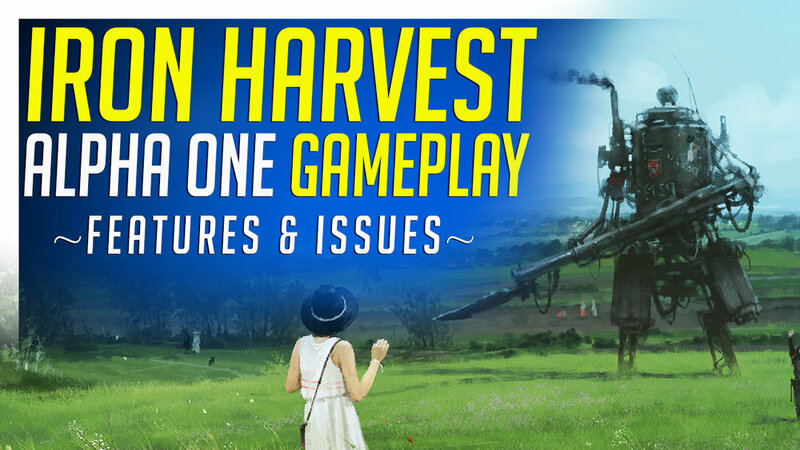 I kicked of the week with a video for Iron Harvest, the upcoming alternate history RTS game from King Art Games. It's pretty basic in it's current form, but shows a lot of promise, and I definitely had fun with it. My week was then unexpectedly dominated by No Man's Sky. I got deeply sucked into the game when it received it's NEXT update. I hadn't really planned on doing a video on it, but I was so enamoured with it I felt I had to share it. That video took a while to put together, because of the nature of how long the game can take to get things done. On the streaming front I've been pretty busy, with a lot of time this week dedicated to Total War: ROME II's Divide Et Impera mod, where I'm playing with JackieFish. This have been an absolute blast, and the community seems to be enjoying them so I'm looking to increase the amount we do from 1 per week, to 2 or 3 per week. In future, I think I'll create some sort of video mini-series out of the campaign when we do another one. For now, it's all on Twitch and later gets uploaded to my YouTube as unlisted in my PAST BROADCAST playlist. On the Twitch front, our loyal Spartan (SPARTANVI) has created new loyalty badges for subscribers. Subscribers on Twitch display a little icon next to their name, and this changes and evolves over time the longer they're subscribed. That should keep us covered for a while! Of course, all subscribers here on Patreon and on Twitch are Senators first and foremost, and have access to the Senate House and meetings to see the channel progress/analytics/finances. As for next week, I had planned on working on a Phantom Doctrine Review, but the game had some issues and was receiving patches once a week, so I felt it was unfair to Review a game I know changing so dramatically so quickly. The patches are done now, so I might do a follow up video on the game, which would allow me to get it out next week. I'm also working with a mod team to produce a sponsored video, which will give me a real big help with income for the month. More on that in next week's update. 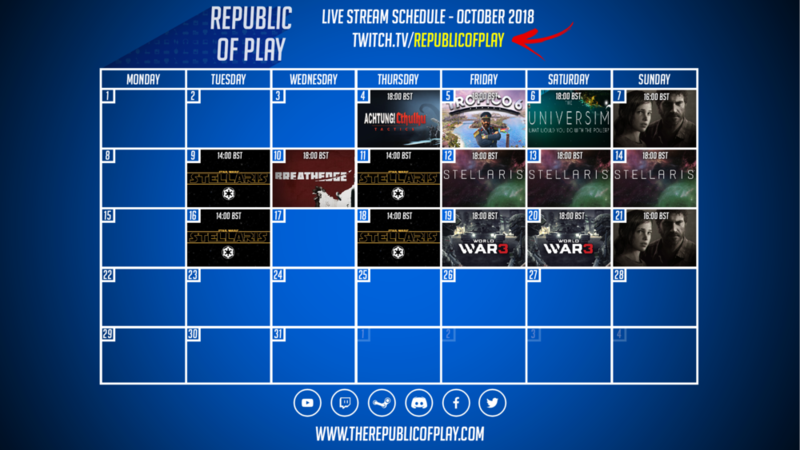 Also, this coming Tuesday is Republic Of Play's 1 YR Birthday :) - I haven't got anything planned, but I might do a stream on that day for fun. Ideas also welcome. As always, I appreciate the support I get here, if there's any suggestions, ideas or things you want more of, please let me know! Hi all, hope everyone’s doing great and apologies for a delayed post this week, after my break I’ve had my hands full with games and videos trying to get the momentum going on my channel again. This passed week I released two videos; one continuing the breakdowns and recap of the developer diaries for Imperator: Rome. I’m pretty excited for that game, though I do have some concerns about it. Covering the developer diaries I think will also help me prepare for it’s launch and be familiar with most systems before I even play, so should speed up review times, when the time comes! These kinds of things have knock-on effects too, delaying my Phantom Doctrine review, which I’m aiming to get out at the end of this week. I dabbled with it in a couple of streams, and so far my time with it has been really fun, though there are some bugs and issues with the combat currently, holding the game back. Coming up this month on the YouTube channel, I’m working on several videos for the following games at the same time; No Man’s Sky, Iron Harvest and Phantom Doctrine. It might be ambitious for me, but I’m hoping to get these out relatively close together in the same week as I’ve banked a lot of footage for them. Last thing I want to mention is that we recently hit 39,000 subscribers! For context, we hit 38,000 just under one month ago, so the growth of the channel has been hugely motivating lately. A lot of it has come from Total War content, but I want to try and balance that out as much as I can with other games and new releases. I do have 2 more Total War videos coming this month though, so if you’re subscribed for that, hopefully there’s something there for you too. That’s really everything for the passed week, this next week and the week after are going to be quite interesting as my housemate will be moving out, and I’ll be using their room as an office, hopefully increasing my productivity with streams and videos! We’re also about to hit one year of Republic Of Play so that’s a nice milestone to celebrate! Hi all! Hope everyone’s doing good, this weeks update is a bit on the lighter side as I’m taking a short break from the channel for about 10 days. This passed week has been really really good for growth which has been hugely motivating. Since the last weekly update video I just released one video discussing the Ancestral Update for Total War: ROME II and a wider look at the design direction of the game. As usual Total War videos perform well on my channel, but combined with the previous video’s momentum the channel gained a lot of new subscribers and views this week. I streamed a lot this week and had great viewers throughout and new subscriptions too, we’re averaging around 85 subs on the channel, with high points of around 90+ with certain members gifting a lot of subs to others really helping the channel. We held our 3 days session of Stellaris, explored the Rome II update and Battled JackieFish in Rome 2: DEI (a series you can watch back on my youtube channel by scrolling to the bottom, and checking “past broadcasts” ) We also took a quick look at the beta launch of Post Scriptum, which was a lot of fun, but sadly I won’t get to make a video for it until I arrive back from my break. So while I didn’t release many videos, I was working on several to bank them for when I leave. I managed to get three done; My most anticipated strategy games coming in 2018, this video showcases what stuff I plan on covering over the next 6 months on the channel. Next was a condensed version of our 12hr, 12 player stellaris game and the last video is an AMA with me. The latter two videos are both over 1hr long, so hopefully for those who will miss the streams, will have a lot of content to chew through. Unfortunately I feel it will probably hamper the momentum of the channel by going away right now, but this was booked around 8 months ago so it’s out of my hands in a way as it’s been organised with a group of friends. Either way, I’ll be back in early August before the Rome II DLC comes out, Post Scriptum Release and a bunch of other games I’ve got lined up, so big reviews are coming in August! That’s pretty much it for this update, hope you enjoy the vids while I’m gone, I’ll still be online checking comments and chatting in discord when I can!